This is what we did at our house on March 14, at 9:26:53 a.m.: prepared from scratch a pie crust (for a delicious, truly crispy, gluten-free pie crust, see recipe below), counted down to the time, and then feasted on a breakfast pie. 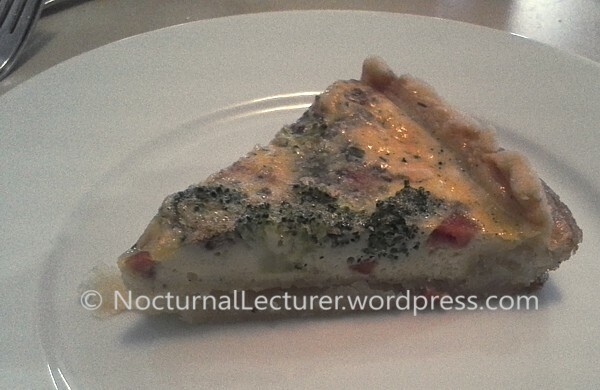 Okay, it was a quiche, which is just a savoury, open-faced pie, right? We also all worked together to prepare our second pie crust for a coconut cream pie later in the evening—the second celebration at 9:26:53 p.m. This time, down to the second, is a once-a-century event, and we’re so happy to have π-thusiastic kids who look forward all year to March 14. 1) Mix these together in a bowl with a wire whisk. 2) Add butter and the flour mixture to food processor, and pulse until well blended with no large pieces of butter remaining. 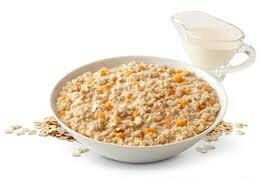 3) Transfer to large bowl. 4) Add one tbsp. at a time to flour mixture, and mix to form into a ball. 5) Divide dough into two balls, and wrap each ball with plastic wrap. Chill for one hour. 6) Remove dough from the refrigerator and allow to come to almost room temperature. 7) Cut two pieces of parchment large enough to roll a dough ball on (each approx. 12″ x 18″). 8) Lightly flour one piece of parchment paper with white rice flour. Place dough ball on top, and generously flour the top of the dough. 9) Top with second piece of parchment paper. Roll dough into a large circle, about 11″, then remove top paper. 10) Invert the pie plate over the dough, then flip dough on to pie plate. 11) Press dough into the pan and remove second piece of paper off the dough. If any of the dough rips apart, press it back together. Trim edges, and crimp if desired. 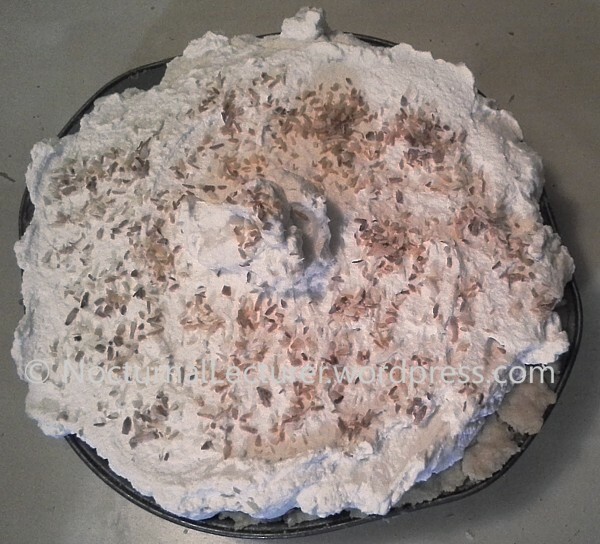 12) Prick pie crust all over with a fork, and pre-bake pie shell at 350F for approx. 20 min. Fill pie crust, then bake at the time and temperature that the pie recipe directs. For a double-crust pie: repeat process to roll out the dough, fill pie, then place second dough over filling. A couple of days ago, I tried to play the pity card. I’ve always had naturally low blood pressure, and I measured again at a pharmacy, some ridiculously low (but usual for me) number like 86/58 (anything under 90/60 is considered low). I tried to tell BH that someone with low blood pressure like me needs a little sugar pick-me-up from time to time, but he wouldn’t have any of it. I must have played my card pretty well for at least one member of the family, because the Boy thinks now that I’m ready to keel over at any moment. But in the last day or so, I think that I’ve reached the Acceptance stage: Yesterday, the kids and I made strawberry cupcakes, which the Boy had been requesting for a few days. What kid wouldn’t love strawberry cupcakes—they’re not too sweet, and the magical moment comes when the batter turns pink. Anyway, in the end, I wasn’t tempted by the finished product, strawberry buttercream icing and all. The Girl was super-nice, attempting to give me a taste of it with the reassurance that it “isn’t really a cupcake—it’s more of a muffin”. But I didn’t want to lose the bet on a question of semantics, so I decided not to do it. (Full disclosure: I did take a teeny bite—with approval from the Beloved Husband—to see how a recipe calling for only a 1/2 cup of sugar would turn out, and the tiny 1 cubic centimetre that I tasted seemed pretty good—not at all what you would think of as a sweet cupcake.) BH declared it the “best cupcake” he’s ever tasted in his life. I wasn’t sure if he was being truthful and trying to flatter my baking skills, or if he was teasing me with the forbidden fruit. However, I think that he is starting to take pity on me, as he offered me a whole cupcake, saying that it wasn’t too sweet, so it was fine for our bet. He even offered it with icing, but I asked him to take it off. He purposely left on a charitable amount, but I wiped it off completely, which prompted him to label me a martyr. That’s me—dying for the sugar-free class. Then I was pulled away to an important business matter, and forgot all about the cupcake, so in the end, I didn’t even get to eat it. I think among the three remaining sugar-eating family members, the whole dozen will disappear within the next two days. See below for two options of icing/frosting. Pour into large muffin moulds and bake in pre-heated 350F oven, for 20 minutes. Toothpick should come out clean, to indicate that cupcakes are done. Cool, then spread with favourite icing/frosting.